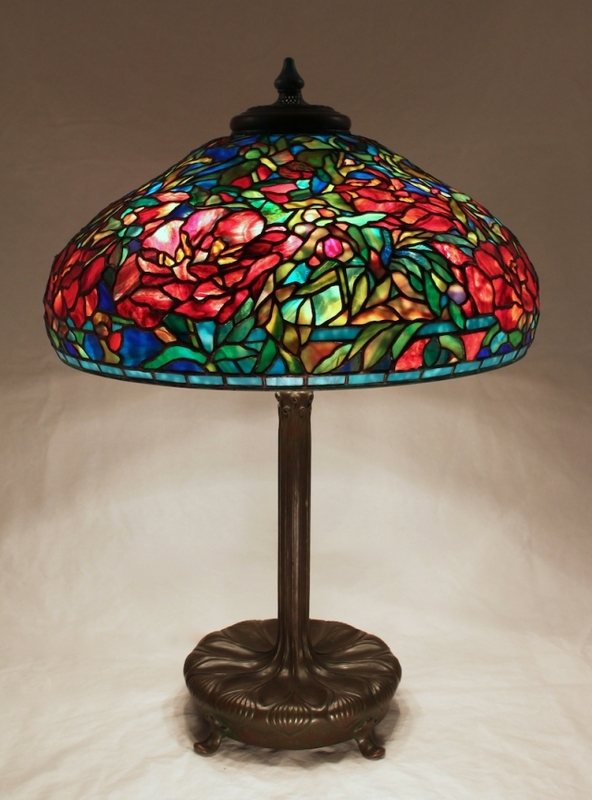 The 22″ Elaborate Peony shade is one of Tiffany Studios’ masterpiece designs. This shade is often referred to as the Windswept Peony because of its intricate blending of leaf and flower. 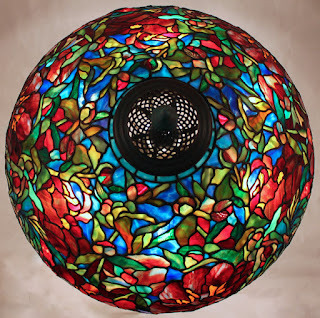 This shade was commissioned in 2017 by a client in New York and is shown on the large Library base (26.5″ tall). 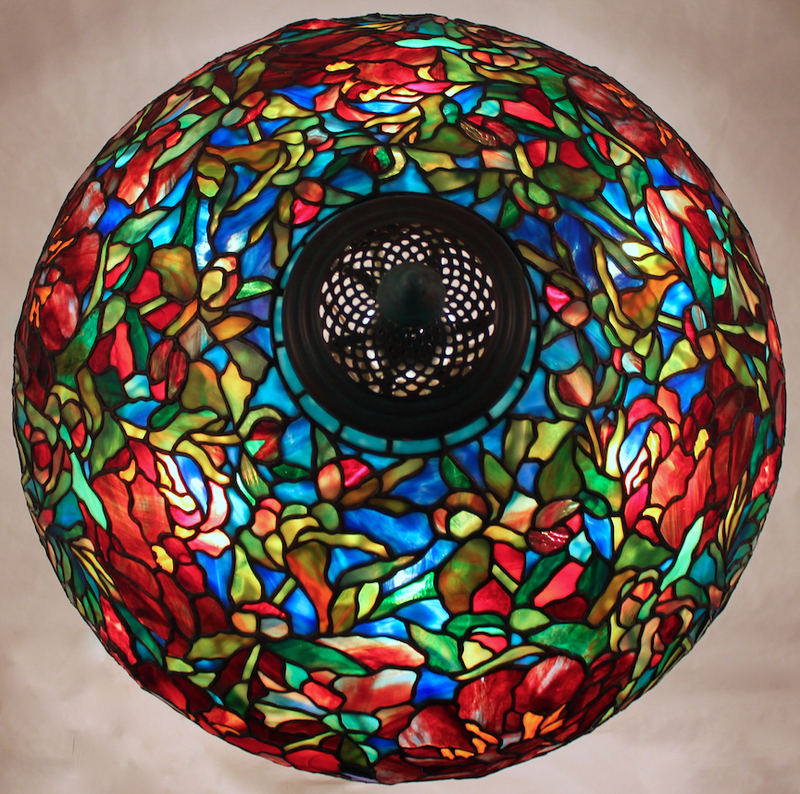 Our client requested strong colors for the shade, and there is an exciting boldness to the color pallet. Ring mottled, streaky, ripple, and fracture/streamer glasses were expertly blended together to create the shade.